This Colorado wildflower landscape is one of the most stunning views I’ve enjoyed during my time outdoors. 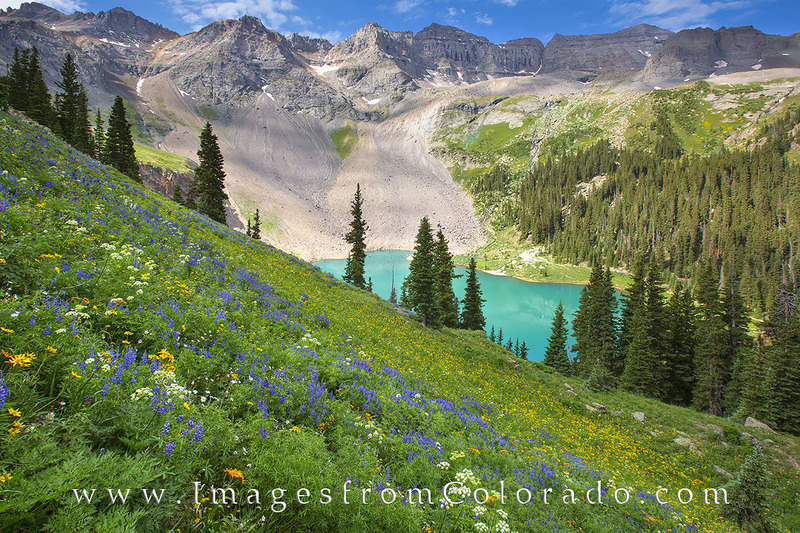 Looking down on Lower Blue Lake while surrounded by rocky peaks of the San Juan Mountains, the slopes filled with colorful summer blooms spreads out like a bright tapestry. Columbine, paintbrush, heartleaf arnica, and many other flowers made this an amazing scene. Photo © copyright by Rob Greebon.